These terms can help you prepare yourself and future generations. Most LTCI policies pay benefits based on the inability to perform at least two out of six activities necessary for independent living. The list may include dressing, bathing, feeding, toileting, transferring and continence. Usually provided at senior or community centers and may be simply recreational or include occupational and physical therapy. Some organized programs include meals and may provide transportation. Procedure in which an individual diminishes income and assets to reach the minimum required levels of one’s state in order to be eligible for Medicaid assistance. An alternate form of 24-hour personal or custodial care provided in a facility, which is licensed by the state and meets other specified criteria. The length of time for which benefits in a long-term care insurance contract may be paid. For example: one, two, three, four, five years or lifetime. A health care professional or a social worker who is employed by a care management agency that provides assessment, care coordination and monitoring. She or he will assess the circumstances, determine the specific services needed, develop a plan of care to address the needs, and, if desired, coordinate and monitor services to ensure care is delivered appropriately. One of the measurements used to determine eligibility for long term care benefits in a policy. It is a deterioration or loss of one’s intellectual capacity, confirmed by clinical evidence and standardized tests, in the areas of short- and long-term memory; orientation as to person, place, and time and deductive or abstract reasoning. The level of care required by a majority of all nursing home and home care recipients. This is normally defined as assistance with activities of daily living, taking medications and other personal needs. Under a Long Term Care Insurance contract, this is the period of time during which no benefits are payable. It may be thought of as a deductible. Elimination periods are defined in days, normally 0,30,60,90,180 and 365 days. 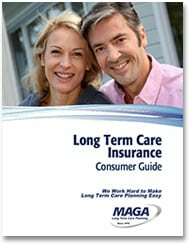 The terms under which you can continue the coverage under your Long Term Care Insurance policy. This type of renewability guarantees that the policy cannot be cancelled by the insurance company. Includes a wide range of services provided at home by health aides and homemakers, part-time skilled nursing care, speech therapy and physical or occupational therapy. Occasional nursing and rehabilitative care that can only be performed by, or under the supervision of, skilled medical personnel. This care must be ordered by a doctor. Services delivered over a sustained period to persons who have lost some degree of physical or cognitive capacity. LTC is provided to people who suffer from any chronic or disabling condition. The federal program providing people 65 and older, some disabled persons and those with end-state renal disease, with hospital and medical insurance. It provides limited benefits for nursing home and home care services under narrowly defined circumstances. A facility that provides room and board and a planned, continuous medical treatment program, including 24-hour-per-day skilled nursing care, personal care and custodial care. The Federal Long Term Care Insurance Partnership Program is a Federally-supported and state-operated collaboration. 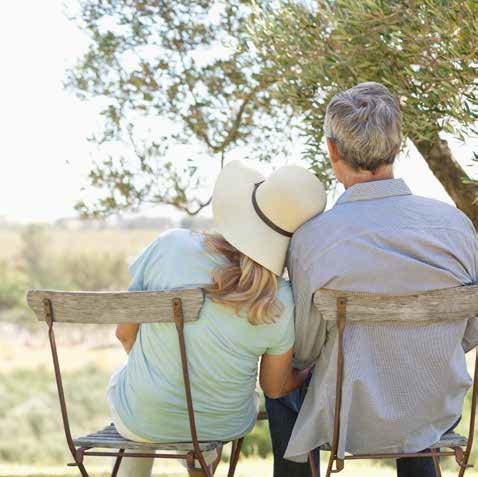 The program allows individuals who purchase qualified Partnership LTC insurance policies to protect a portion of their assets – up to the amount of the policy – should they need to apply for Medicaid after using up their LTC insurance benefits. Daily nursing and rehabilitative care that can be performed only by, or under the supervision of, skilled medial personnel. Examples of skilled care are physical, occupational or speech therapy.